The Fundamentals of Aging and Eating Well is more than a Plant Base Diet. As we Age forty-five (45yr) plus, our bodies need more nutrients. In the beginning of human life Fruit, Grains, nuts, Seeds & Vegetables was sufficient. Now, as we age, we need to supplement. Since the body is created from the Dust of the Earth the body will respond quickly to Herbal Supplements as well as certain Vitamins or Whole Food Vitamins. When taking Herbal Supplements you're getting vitamins in their proper proportion from God's Farmacy...the Earth! Herbs like Vitamins has many different functions as they come in contact with the body's cell through the food. Food such as Beets, Broccoli, Collar & Mustard Greens, Carrots, non- dairy Cheese, non-gmo Corn Muffins, Parsnips, Rutabagas and Walnut Patties. Hawthorn Berries-high in Vit C, B-complex, Sodium, Silicon, Phosphorus, Iron, Zinc and Sulphur. Another herb, Burdock Root- high in Vit.C, Iron, Protein, CHO, Vit. A, P, E, B-complex, Iodione, Zinc and Copper. However, As We Age, our bodies become more or less deficient in Vitamin and Mineral Supplements which can be obtain from both, Whole Foods and Laboratory made Sources such as: Liquid- Cal/Mg/Vit D or Cal/Mg/phosphorus/Vit D, Trace Minerals, Chromium Picolinate, Iodine, Vit A, B-complex, Vit.C & Vit D. Also, some of RDA's of the Major Minerals- Iron, Selenium, Phosphorus, Zinc, Friendly Flora (Acidolphilus) and Electrolytes. Most Primary Physicans will work with you to keep your body chemistry in balance or in range. Food is vital to humanity's existence, thinking, and a right way of living. Proverbs 14:12 said "there is a way that seemeth right unto a man, but in the end thereof are the ways of death". 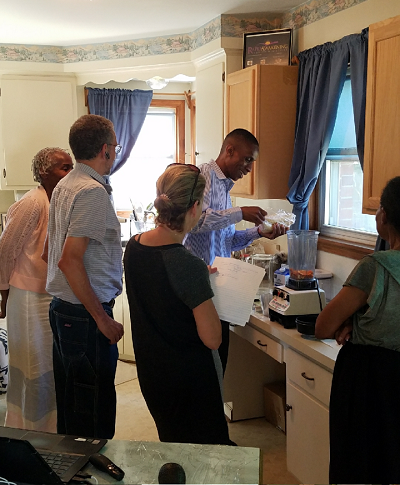 This year's "Health Awareness Class" focus is on food of course, but having right fundamental principles for your eating practices. The overall three (3) take away in this year classes are: Psalm 11:3, Godsplan (8-Laws of Health) and the Cycle of Man. Man's body function on a pulse, a beat, a rhythm, these are movements. In May's class I expound on the importance of the Bio Circadian Rhythm..the body's internal clock.. is to our overall health. We have partaken of CHO, FATS and PROTEINS, as important as these nutrients are timing is a major factor. Lets take a look at the Bio Circadian Rhythm as it relates to the Elimination Cycle. This cycle begin releasing waste between the hours of 4:00 am-12:00 pm (the by product of food assimilated 24 hr. ago). The Elimination Cycle slows down after 12 pm. During these hours the body respond exceptionally well to high water content food. Foods such as fruits, vegetables, salads, herbal teas and of course fresh water. Another part of the Circadian Rhythm is the Digestion Cycle. It begins at 12 pm-8 pm. This cycle pick ups where the Elimination Cycle slows down. Emphasis on the Digestive hours between 10 am-2 pm is essential. Our digestive fluids are the strongest during these hours. Therefore, this is when our largest and heaviest meal should been eaten. After 3:00 pm our digestive fluids weakens and digestion cycle slows down. Also after each meal there should be 3-4 hrs where no food should enter the system accept water, herbal tea and possibly grape juice. If our digestive fluids weakens after 2:00 pm and by 3:00 pm digestion slows down, assist the body possibly through exercise first, before eating any large and heavy meal. Assimilation begin at 8:00 pm - 4:00 am. The Assimilation Cycle assimilate all the nutrients entered the blood stream from 4 am (twenty-four ago) at the start of the Elimination Cycle. This Bio Circadian Rhythm repeats itself in a 24 hour period..the body's internal clock! Unfortunately there will be no Health Class due to the serve Ice Storm that hit Detroit!! Health Blog Pages: MARCH and MAY's 2018 has been accidentally deleted! WILL TRY TO RETRIEVE infor. SOON! Please enjoy all other 2017 Health information!! Bio Circadian Rhythm and Proper Food Combining!! Interesting topic on Bio Circadian Rhythm and Proper Food Combining! The review on the last two previous health topics took quite an interest and a searching of the Mind for these ladies. The Bio Circadian Rhythm and Proper Food Combining actually captured everyone's attention and participation. We will discuss that topic, demo Collar Greens and Beet Balls. 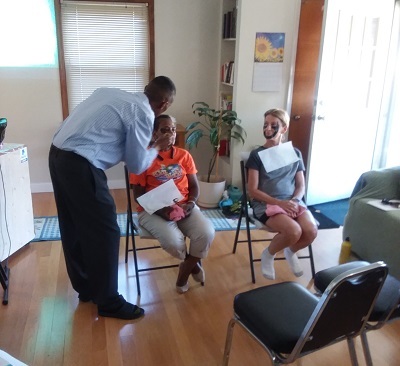 March class introduced the Fundamentals of Health in which each proceeding class has been built upon. The sub-topic (broader area of discussion) "Understanding Human Nature" as it relates to health. This open up a discussion on our Plague Spots (Health wise or Character wise). While we covered GODSPLAN and the CYCLE of MAN. Everything we covered can be found in the Owner's Manual / Bible. What are the best FATS!! Wholesome Cashew Mayonnaise & Non-Butter Spread in small container!! The approach to the "Health formula for Total Wellness" is to Understand Human Nature. The variables involved is two very essential opponents. God and You! The formula is Realities "Concrete fixed Rules and Principles the Bible lie down. Before Fallen Human Nature, a life of bliss, also after the Fall of Human Nature, death and sickness. Accepting the Realities God has given the human race you begin to learn how to make decision for your Health and other areas of your life. Our focus on .....formula for Total Wellness is founded on a solid foundation- the Owner's Manual. The Bible helps us to understand how to deal with our Health. We covered in this class the Cycle of Man. How essential it is to eat food grown from the Soil, how that Food makes Blood and blood creates Cells...... The Bible gives us Eight Laws to use for Optimal Wellness. We find these Eight Laws in the Book of Genesis chapters 1 & 2. NewsFind out the latest news from Health Blog. R.A.H.M (Rapid Awakening Health Ministries) is a Religious Health and Educational Facility. It’s designed to awaken the mind, body and spirit to the reality in which we live, move and have our being. Our services provide the Optimum Hygienic Care. R.A.H. speaks a Health Message, of Truth, Balance and Strength, to the unsettled mind. Trust the God of Creation! Genesis 1:29, 1Corinthians 3:16, John 14:27. The following links provide additional information about Rapid Awakening website and some of the people behind the ministry.